THE SCIENCE AND NATURE OF ALCHEMY, AND WHAT OPINION SHOULD BE FORMED THEREOF. PREFACE TO ALL ALCHEMISTS AND READERS OF THIS BOOK. 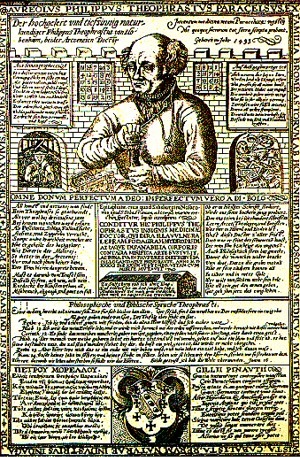 YOU who are skilled in Alchemy, and as many others as promise yourselves great riches or chiefly desire to make gold and silver, which Alchemy in different ways promises and teaches; equally, too, you who willingly undergo toil and vexations, and wish not to be freed from them, until you have attained your rewards, and the fulfillment of the promises made to you; experience teaches this every day, that out of thousands of you not even one accomplishes his desire. Is this a failure of Nature or of Art? I say, no; but it is rather the fault of fate, or of the unskilfulness of the operator. But herein will be noticed another way of treating Alchemy different from the previous method, and deduced by Seven Canons from the sevenfold series of the metals. This, indeed, will not give scope for a pompous parade of words, but, nevertheless, in the consideration of those Canons everything which should be separated from Alchemy will be treated at sufficient length, and, moreover, many secrets of other things are herein contained. Hence, too, result certain marvelous speculations and new operations which frequently differ from the writings and opinions of ancient operators and natural philosophers, but have been discovered and confirmed by full proof and experimentation. Moreover, in this Art nothing is more true than this, though it be little known and gains small confidence. 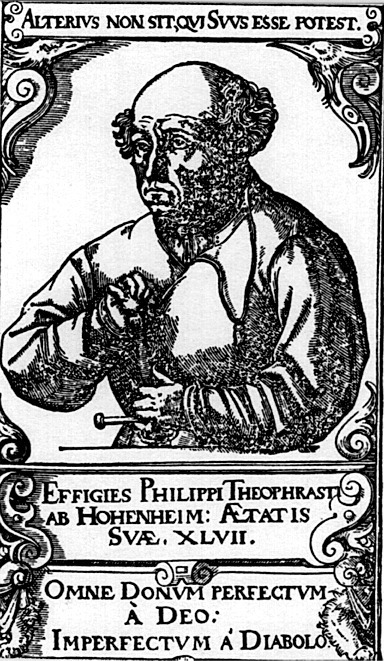 All the fault and cause of difficulty in Alchemy, whereby very many persons are reduced to poverty, and others labor in vain, is wholly and solely lack of skill in the operator, and the defect or excess of materials, whether in quantity or quality, whence it ensues that, in the course of operation, things are wasted or reduced to nothing. If the true process shall have been found, the substance itself while transmuting approaches daily more and more towards perfection. The straight road is easy, but it is found by very few. Sometimes it may happen that a speculative artist may, by his own eccentricity, think out for himself some new method in Alchemy, be the consequence anything or nothing. He need do naught in order to reduce something into nothing, and again bring back something out of nothing. Yet this proverb of the incredulous is not wholly false. Destruction perfects that which is good; for the good cannot appear on account of that which conceals it. The good is least good whilst it is thus concealed. The concealment must be removed that so the good may be able freely to appear in its own brightness. For example, the mountain, the sand, the earth, or the stone in which a metal has grown is such a concealment. Each one of the visible metals is a concealment of the other six metals. THE SECOND CANON: CONCERNING THE NATURE AND PROPERTIES OF JUPITER. THE THIRD CANON: CONCERNING MARS AND HIS PROPERTIES. THE FOURTH CANON: CONCERNING VENUS AND ITS PROPERTIES. THE FIFTH CANON: CONCERNING THE NATURE AND PROPERTIES OP SATURN. THE SIXTH CANON: CONCERNING LUNA AND THE PROPERTIES THEREOF. The endeavor to make Saturn or Mars out of Luna involves no lighter or easier work than to make Luna, with great gain, out of Mercury, Jupiter, Mars, Venus, or Saturn. It is not useful to transmute what is perfect into what is imperfect, but the latter into the former. Nevertheless, it is well to know what is the material of Luna, or whence it proceeds. Whoever is not able to consider or find this out will neither be able to make Luna. It will be asked, What is Luna? It is among the seven metals which are spiritually concealed, itself the seventh, external, corporeal, and material. For this seventh always contains the six metals spiritually hidden in itself. And the six spiritual metals do not exist without one external and material metal. So also no corporeal metal can have place or essence without those six spiritual ones. The seven corporeal metals mix easily by means of liquefaction, but this mixture is not useful for making Sol or Luna. For in that mixture each metal remains in its own nature, or fixed in the fire, or flies from it. For example, mix, in any way you can, Mercury, Jupiter, Saturn, Mars, Venus, Sol, and Luna. It will not thence result that Sol and Luna will so change the other five that, by the agency of Sol and Luna, these will become Sol and Luna. For though all be liquefied into a single mass, nevertheless each remains in its nature whatever it is. This is the judgment which must be passed on corporeal mixture. But concerning spiritual mixture and communion of the metals, it should be known that no separation or mortification is spiritual, because such spirits can never exist without bodies. Though the body should be taken away from them and mortified a hundred times in one hour, nevertheless, they would always acquire another much more noble than the former. And this is the transposition of the metals from one death to another, that is to say, from a lesser degree into one greater and higher, namely, into Luna; and from a better into the best and most perfect, that is, into Sol, the brilliant and altogether royal metal. It is most true, then, as frequently said above, that the six metals always generate a seventh, or produce it from themselves clear in its esse. A question may arise: If it be true that Luna and every metal derives its origin and is generated from the other six, what is then its property and its nature? To this we reply: From Saturn, Mercury, Jupiter, Mars, Venus, and Sol, nothing and no other metal than Luna could be made. The cause is that each metal has two good virtues of the other six, of which altogether there are twelve. These are the spirit of Luna, which thus in a few words may be made known. Luna is composed of the six spiritual metals and their virtues, whereof each possesses two. Altogether, therefore, twelve are thus posited in one corporeal metal, which are compared to the seven planets and the twelve celestial signs. Luna has from the planet Mercury, and from Aquarius and Pisces, its liquidity and bright white color. So Luna has from Jupiter, with Sagittarius and Taurus, its white color and its great firmness in fire. Luna has from Mars, with Cancer and Aries, its hardness and its clear sound. Luna has from Venus, with Gemini and Libra, its measure of coagulation and its From Saturn, with Virgo and Scorpio, its homogeneous body, with gravity. From Sol, with Leo and Virgo, its spotless purity and great constancy against the power of fire. Such is the knowledge of the natural exaltation and of the course of the spirit and body of Luna, with its composite nature and wisdom briefly summarized. THE SEVENTH CANON: CONCERNING THE NATURE OF SOL AND ITS PROPERTIES. The seventh after the six spiritual metals is corporeally Sol, which in itself is nothing but pure fire. What in outward appearance is more beautiful, more brilliant, more clear and perceptible, a heavier, colder, or more homogeneous body to see? And it is easy to perceive the cause of this, namely, that it contains in itself the congelations of the other six metals, out of which it is made externally into one most compact body. Its liquefaction proceeds from elementary fire, or is caused by the liquations of Mercury, with Pisces and Aquarius, concealed spiritually within it. The most manifest proof of this is that Mercury is easily mingled corporeally with the Sun as in an embrace. But for Sol, when the heat is withdrawn and the cold supervenes after liquefaction, to coagulate and to become hard and solid, there is need of the other five metals, whose nature it embraces in itself – Jupiter, Saturn, Mars, Venus, Luna. In these five metals the cold abodes with their regimens are especially found. Hence it happens that Sol can with difficulty be liquefied without the heat of fire, on account of the cold whereof mention has been made. For Mercury cannot assist with his natural heat or liquefaction, or defend himself against the cold of the five metals, because the heat of Mercury is not sufficient to retain Sol in a state of liquefaction. Wherefore Sol has to obey the five metals rather than Mercury alone. Mercury itself has no office of itself save always to flow. Hence it happens that in coagulations of the other metals it can effect nothing, since its nature is not to make anything hard or solid, but liquid. To render fluid is the nature of heat and life, but cold has the nature of hardness, consolidation, and immobility, which is compared to death. For example, the six cold metals, Jupiter, Venus, Saturn, Mars, Venus, Luna, if they are to be liquefied must be brought to that condition by the heat of fire. Snow or ice, which are cold, will not produce this effect, but rather will harden. As soon as ever the metal liquefied by fire is removed therefrom, the cold, seizing upon it, renders it hard, congelated, and immovable of itself. But in order that Mercury may remain fluid and alive continually, say, I pray you, whether this will be affected with heat on cold? Whoever answers that this is brought about by a cold and damp nature, and that it has its life from cold – the promulgator of this opinion, having no knowledge of Nature, is led away by the vulgar. For the vulgar man judges only falsely, and always holds firmly on to his error. So then let him who loves truth withdraw therefrom. Mercury, in fact, lives not at all from cold but from a warm and fiery nature. Whatever lives is fire, because heat is life, but cold the occasion of death. The fire of Sol is of itself pure, not indeed alive, but hard, and so far shows the color of sulphur in that yellow and red are mixed therein in due proportion. The five cold metals are Jupiter, Mars, Saturn, Venus, and Luna, which assign to Sol their virtues; according to cold, the body itself; according to fire, color; according to dryness, solidity; according to humidity, weight; and out of brightness, sound. But that gold is not burned in the element of terrestrial fire, nor is even corrupted, is effected by the firmness of Sol. For one fire cannot burn another, or even consume it; but rather if fire be added to fire it is increased, and becomes more powerful in its operations. The celestial fire which flows to us on the earth from the Sun is not such a fire as there is in heaven, neither is it like that which exists upon the earth, but that celestial fire with us is cold and congealed, and it is the body of the Sun. Wherefore the Sun can in no way be overcome by our fire. This only happens, that it is liquefied, like snow or ice, by that same celestial Sun. Fire, therefore, has not the power of burning fire, because the Sun is fire, which, dissolved in heaven, is coagulated with us. Gold is in its essence threefold: 1) Celestial and dissolved, 2) Elementary and fluid, 3) Metallic and corporeal. CERTAIN TREATISES AND APPENDICES ARISING OUT OF THE SEVEN CANONS. Whatever tinges with a white color has the nature of life, and the properties and power of light, which causally produces life. Whatever, on the other hand, tinges with blackness, or produces black, has a nature in common with death, the properties of darkness, and forces productive of death. The earth with its frigidity is a coagulation and fixation of this kind of hardness. For the house is always dead; but he who inhabits the house lives. If you can discover the force of this illustration you have conquered. Tested liquefactive powder. Burn fat verbena.9 Recipe: Salt nitre, four ounces; a moiety of sulphur; tartar, one ounce. Mix and liquefy. To mortify or congeal Mercury, and afterwards seek to turn it into Luna, and to sublimate it with great labor, is labor in vain, since it involves a dissipation of Sol and Luna existing therein. There is another method, far different and much more concise, whereby, with little waste of Mercury and less expenditure of toil, it is transmuted into Luna without congelation. Any one can at pleasure learn this Art in Alchemy, since it is so simple and easy; and by it, in a short time, he could make any quantity of silver and gold. It is tedious to read long descriptions, and everybody wishes to be advised in straightforward words. Do this, then; proceed as follows, and you will have Sol and Luna, by help whereof you will turn out a very rich man. Wait awhile, I beg, while this process is described to you in few words, and keep these words well digested, so that out of Saturn, Mercury, and Jupiter you may make Sol and Luna. There is not, nor ever will be, any art so easy to find out and practice, and so effective in itself. The method of making Sol and Luna by Alchemy is so prompt that there is no more need of books, or of elaborate instruction, than there would be if one wished to write about last year’s snow. What, then, shall we say about the receipts of Alchemy, and about the diversity of its vessels and instruments? These are furnaces, glasses, jars, waters, oils, limes, sulphur, salts, saltpetres, alums, vitriols, chrysocollae, copper-greens, atraments, auri-pigments, fel vitri, ceruse, red earth, thucia, wax, lutum sapientiae, pounded glass, verdigris, soot, testae ovorum, crocus of Mars, soap, crystal, chalk, arsenic, antimony, minium, elixir, lazurium, gold-leaf, salt-nitre, sal ammoniac, calamine stone, magnesia, bolus armenus, and many other things. Moreover, concerning preparations, putrefactions, digestions, probations, solutions, cementings, filtrations, reverberations, calcinations, graduations, rectifications, amalgamations, purgations, etc., with these alchemical books are crammed. Then, again, concerning herbs, roots, seeds, woods, stones, animals, worms, bone dust, snail shells, other shells, and pitch. These and the like, whereof there are some very far-fetched in Alchemy, are mere incumbrances of work; since even if Sol and Luna could be made by them they rather hinder and delay than further one’s purpose. But it is not from these – to say the truth – that the Art of making Sol and Luna is to be learnt. So, then, all these things should be passed by, because they have no effect with the five metals, so far as Sol and Luna are concerned. Someone may ask, What, then, is this short and easy way, which involves no difficulty, and yet whereby Sol and Luna can be made? Our answer is, this has been fully and openly explained in the Seven Canons. It would be lost labor should one seek further to instruct one who does not understand these. It would be impossible to convince such a person that these matters could be so easily understood, but in an occult rather than in an open sense. That body is the spirit of heaven. From it these planets again receive a body and life, and live as before. Take this body from the life and the earth. Keep it. It is Sol and Luna. Here you have the Art altogether, clear and entire. If you do not yet understand it, or are not practiced therein, it is well. It is better that it should be kept concealed, and not made public. Those who think that Mercury is of a moist and cold nature are plainly in error, because it is by its nature in the highest degree warm and moist, which is the cause of its being in a constant state of fluidity. If it were of a moist and cold nature it would have the appearance of frozen water, and be always hard and solid, so that it would be necessary to liquefy it by the heat of fire, as in the case of the other metals. But it does not require this, since it has liquidity and flux from its own heat naturally inborn in it, which keeps it in a state of perpetual fluidity and renders it “quick”, so that it can neither die, nor be coagulated, nor congealed. And this is well worth noticing, that the spirits of the seven metals, or as many of them as have been commingled, as soon as they come into the fire, contend with one another, especially Mercury, so that each may put forth its powers and virtues in the endeavor to get the mastery in the way of liquefying and transmuting. One seizes on the virtue, life, and form of another, and assigns some other nature and form to this one. So then the spirits or vapors of the metals are stirred up by the heat to operate mutually one upon the other, and transmute from one virtue to another, until perfection and purity are attained. The hope of finding these in the earth and in stones is most uncertain, and the labor very great. However, since this is the first mode of getting them, it is in no way to be despised, but greatly commended. Such a desire or appetite ought no more to be done away with than the lawful inclination of young people, and those in the prime of life, to matrimony. As the bees long for roses and other flowers for the purpose of making honey and wax, so, too, men – apart from avarice or their own aggrandizement – should seek to extract metal from the earth. He who does not seek it is not likely to find it. God dowers men not only with gold or silver, but also with poverty, squalor, and misery. He has given to some a singular knowledge of metals and minerals, whereby they have obtained an easier and shorter method of fabricating gold and silver, without digging and smelting them, than they were commonly accustomed to, by extracting them from their primitive bodies. And this is the case not only with subterranean substances, but by certain arts and knowledge they have extracted them from the five metals generally (that is to say, from metals excocted from minerals which are imperfect and called metals), viz., from Mercury, Jupiter, Saturn, Mars and Venus, from all of which, and from each of them separately, Sol and Luna can be made, but from one more easily than from another. Note, that Sol and Luna can be made easily from Mercury, Saturn, and Jupiter, but from Mars and Venus with difficulty. It is possible to make them, however, but with the addition of Sol and Luna. Out of Magnesium and Saturn comes Luna, and out of Jupiter and Cinnabar pure Sol takes its rise. The skilful artist, however (how well I remember! ), will be able by diligent consideration to prepare metals so that, led by a true method of reasoning, he can promote the perfection of metallic transformation more than do the courses of the twelve signs and the seven planets. In such matters it is quite superfluous to watch these courses, as also their aspects, good or bad days or hours, the prosperous or unlucky condition of this or that planet, for these matters can do no good, and much less can they do harm in the art of natural Alchemy. If otherwise, and you have a feasible process, operate when you please. If, however, there be anything wanting in you or your mode of working, or your understanding, the planets and the stars of heaven will fail you in your work. Alchemy is nothing else but the set purpose, intention, and subtle endeavor to transmute the kinds of the metals from one to another.10 According to this, each person, by his own mental grasp, can choose out for himself a better way and Art, and therein find truth, for the man who follows a thing up more intently does find the truth. It is highly necessary to have a correct estimation of stars and of stones, because the star is the informing spirit of all stones. For the Sol and Luna of all the celestial stars are nothing but one stone in itself; and the terrestrial stone has come forth from the celestial stone; through the same fire, coals, ashes, the same expulsions and repurgations as that celestial stone, it has been separated and brought, clear and pure in its brightness. The whole ball of the earth is only something thrown off, concrete, mixed, corrupted, ground, and again coagulated, and gradually liquefied into one mass, into a stony work, which has its seat and its rest in the midst of the firmamental sphere. Chrysoprasus Is a stone which appears like fire by night, and like gold by day. As a pledge and firm foundation of this matter, note the following conclusion. If anyone intelligently and reasonably takes care to exercise himself in learning about the metals, what they are, and whence they are produced: he may know that our metals are nothing else than the best part and the spirit of common stones, that is, pitch, grease, fat, oil, and stone. But this is least pure, uncontaminated, and perfect, so long as it remains hidden or mixed with the stones. It should therefore be sought and found in the stones, be recognized in them, and extracted from them, that is, forcibly drawn out and liquefied. For then it is no longer a stone, but an elaborate and perfect metal, comparable to the stars of heaven, which are themselves, as it were, stones separated from those of earth. 1. The three prime substances are proved only by fire, which manifests them pure, naked, clean, and simple. In the absence of all ordeal by fire, there is no proving of a substance possible. For fire tests everything, and when the impure matter is separated the three pure substances are displayed. – De Origine Morborum ex Tribus Primis Substanstiis – Paramirum, Lib. I., c. 1. Fire separates that which is constant or fixed from that which is fugitive or volatile. – De Morbis Metallicis, Lib. II., Tract I. Fire is the father or active principle of separation. – “Third Fragment on Tartar” from the Fragmenta Medica.